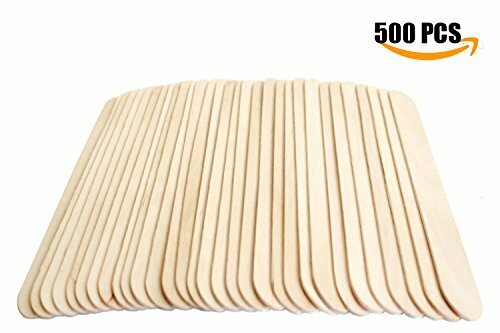 High-quality large wooden applicators for flawless application of wax on large body areas. Make achieving that perfectly smooth, sleek skin that everyone longs for easy work with the Begin Large All Natural Wax Applicator Sticks. These 100% Natural Birch Wood sticks are perfect for removing hair from areas all over the body. Use them to wax arms, back, legs, bikini, and any other large or detailed area. 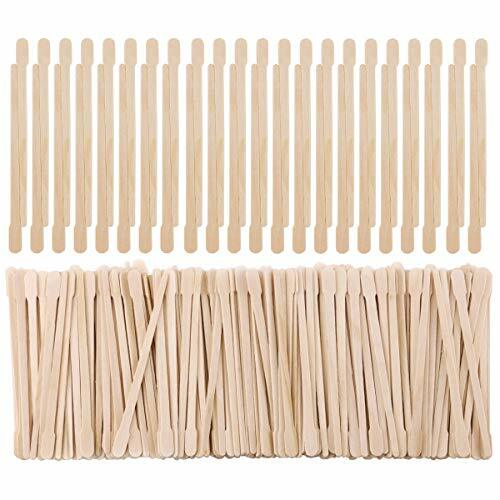 With 100 sticks included in each package, you are assured of value and quality with each purchase. Having the right tools is essential to achieving the beautiful spa results you want for hair removal-be sure that the Begin Large All Natural Wax Applicator Sticks are part of your beauty tool kit! Efficient Wide Size. The wider size of the Begin All Natural Wax Applicator Sticks makes getting an ultra smooth finish on skin quick work. Cover larger areas in less time. All Natural Smooth and Clean. The high temperatures of hot wax can cause chemicals in synthetic sticks to leach out. 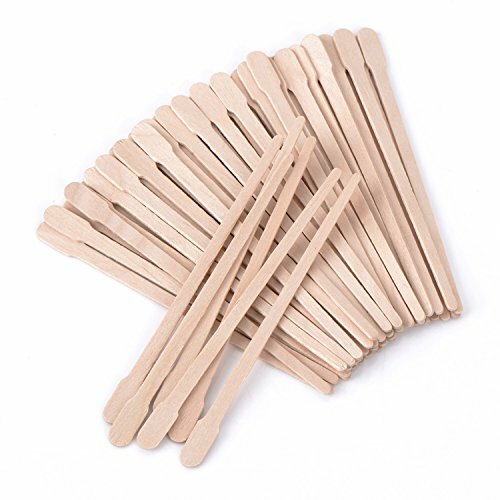 Avoid potential toxins with these 100% Natural Birch Wood NSF certified wax applicator sticks. Perfect for Multiple Areas. The convenient 6 inch long by inch wide size of the Begin Wax makes them perfect for removing hair on multiple areas of the body. Use them for the bikini or any other detailed area as well as larger areas such as the arms, legs, or back. 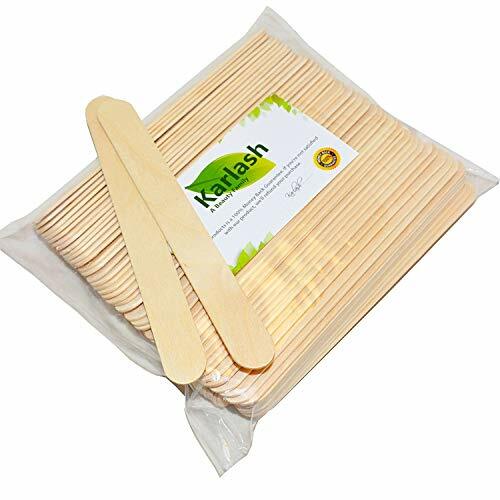 You can avoid the embarrassment of hair by using these wax applicator sticks, allows you to use for a long time, a must for your beauty, fit for daily life. 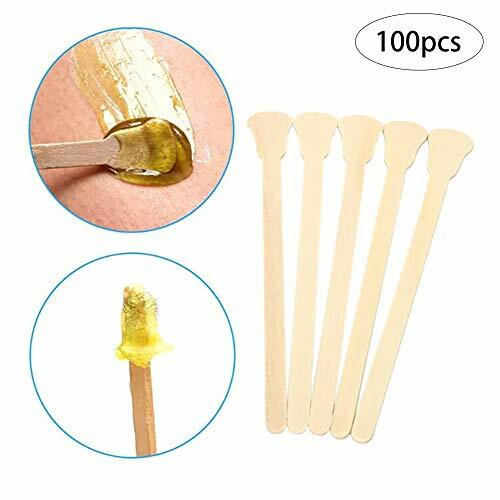 You can use these wax applicators to coat wax on your skin, no-toxic, they can help to remove your hair on eyebrows, face and other place, even when you are eating ice cream without a spoon, you can use it to replace. With smooth surface, no burr and safe, do not harm to your hand and skin, lightweight and can be carried easily, you can use them safely. Small parts, keep it away from children. 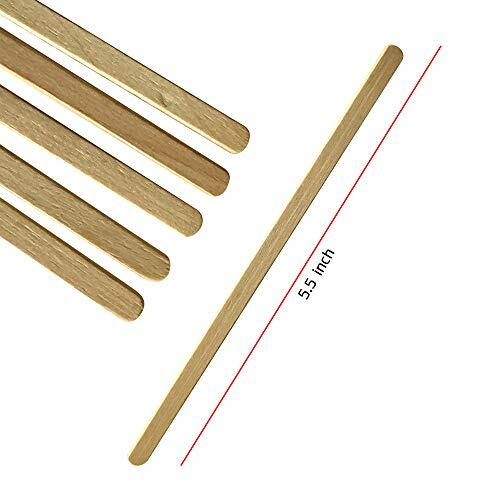 Size of wax stick - 6 x 3/4 size fits well to your body, can meet your various needs. Useful applicator: can be applied to remove awkward areas of hair, or eyebrow; Suitable size in special shape, make it convenient to use; Utility helper for the beauty you want. Application: Suitable for removing hair of many places on your body, can be applied to apply wax to small areas, such as eyebrows, bikini areas and other small or detailed areas. Useful in daily life, good make-up accessories, can apply to remove the awkward region of hair, camber shape, etc. ; Make you easy and convenient to clean up the place you want to remove, can satisfy your various needs. Wider of the bottom parts like a spade, more convenient and won't spill into other areas, daub more even. 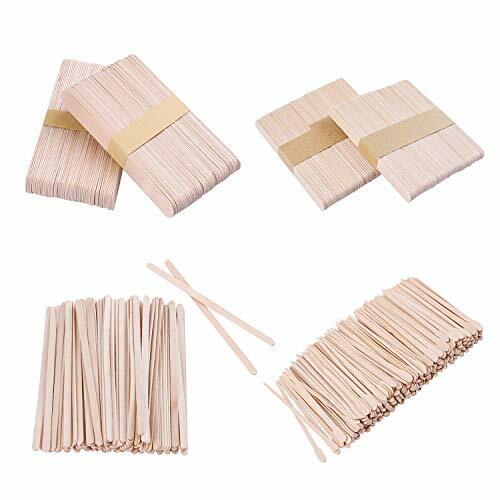 Each package of 500 wax sticks, enough for the daily needs of a family and can use for a long time. This utility stick can use to remove hair in awkward region, eyebrow shaping, lip shape, apply mask, etc., widely use in daily life; The wax rod can also be applied to make arts and crafts, and other wide varieties of use. Warm note: small items, please keep away from children under 3 years. Extensive use: can remove waxed hair, eyebrows and other awkward areas, or use to apply masks; Can also be applied to make other crafts and arts, etc. 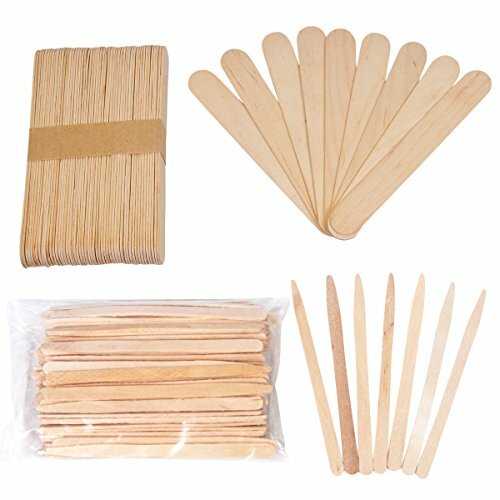 Wide range of wax sticks combinations: Small wooden applicators for waxing eyebrows, face, hair removal and other small or detailed areas; large wooden applicators for body waxing on the legs. 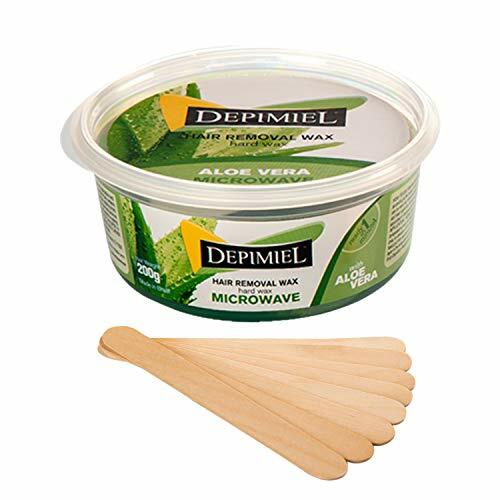 The wax applicator sticks are ideal for hard wax, microwave wax, wax pots, and a variety of other waxing kits. Multiple combinations: Four different sizes of wax sticks are sufficient for your use in all situations. Suitable size and special shapes make them more convenient to use; Good helpers for the beauty you want. Useful spatula applicators: You can use the wax applicator sticks to remove the hair you don't want to avoid the embarrassment, a must for your beauty, fit for daily using. Wide range of usage: The special shaped sticks are suitable for many different placed hair removal, they can help to remove your hair on eyebrows, face and other small areas. - The round head can be used with depilation wax to remove nose hair and nose dirt. - Flat head applies to small areas of the face, such as under the eyebrows, nose and mouth. 1: Wrap the melted wax around the front of the wax applicator sticks head. 4: Then will remove the nose hair. MATERIAL - Made of ABS materials,natural resin, non-toxic, just please be assured use; Package including 60PCS. STICK SIZE - Appro 3.5 in x 0.6 in(Length x Flat Head Wide ). SAFETIP APPLICATORS - These wax applicator sticks are made of ABS natural resin materials,smooth and efficient, will not hurt your skin. TWO IN ONE MULTI USE WAX STICK - The round head used with depilation wax to remove nose hair and nose dirt; The Flat head is applied to your face and under the eyebrow nose, mouth lips and so on. WAX STICKS - Specially formulated for effective removal of unsightly nose hair. Artist's Choice disposable cosmetic application products are designed for the professional who demands the best in quality, sanitation, and performance. 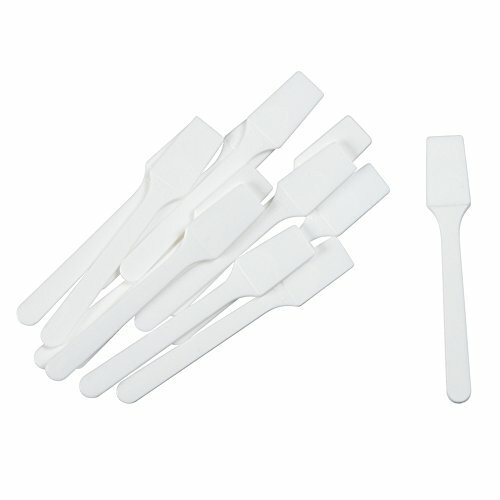 These single-use spatulas are the perfect solution for sampling multiple products, sharing out of a large container, offering trial quantities at makeup counters or special events, or even just reaching that last bit of cream, lotion, etc. out to avoid throwing out usable product. 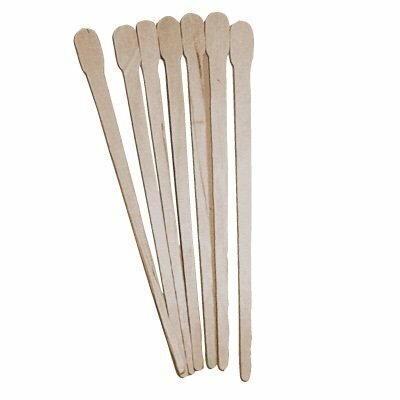 Smooth-finish wax applicators, made of select birchwood. Sturdy and functional for wax applications. Disposable and biodegradable. High Quality Low Cost. No need to reuse applicators. 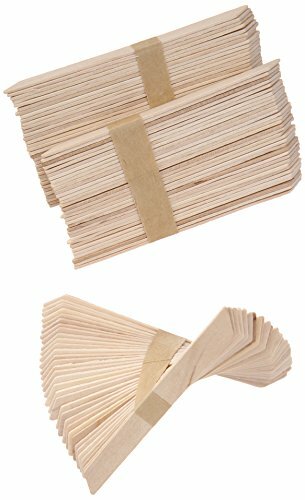 Ensure the perfect wax application every time with this 100-pack of spa quality wooden wax applicator sticks. These 6" long applicator sticks are ideal for waxing your legs, back, stomach, and arms. The wax sticks are made from all-natural wood that has been smoothed and pressed to ensure a clean and even application. 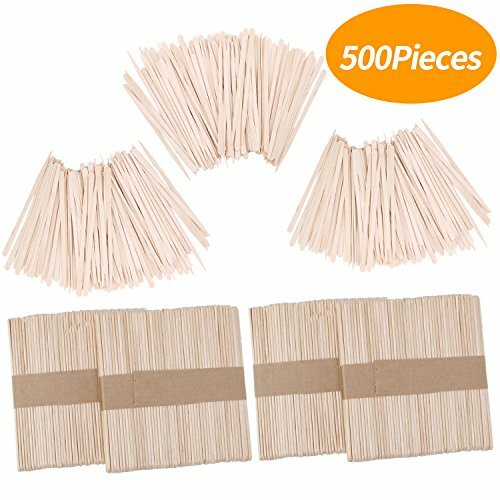 Suitable for both at home and salon use, this 100-pack of disposable wax sticks offers impressive value. PROFESSIONAL QUALITY: Suitable for both salon and at home use, these wood wax applicator sticks will ensure a smooth and even application. LARGE WAX STICKS: The 6 long wax applicator sticks are ideal for use on your legs, back, arms, and stomach. The 6 length is perfectly sized for larger waxing jobs and helps you to apply more wax at one time for greater efficiency. CLEAN AND SMOOTH APPLICATION: Our wax sticks for hair removal have been carefully shaped and pressed to ensure a clean and smooth application in order to give you the best results. 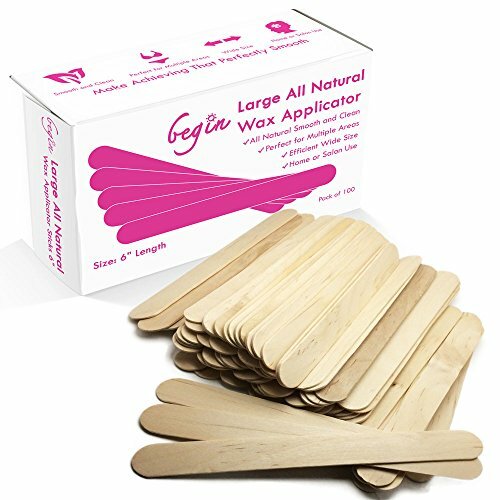 ALL-NATURAL: A safe choice for you and your clients, our wax applicator sticks are made from all-natural wood without any synthetic materials or additives. 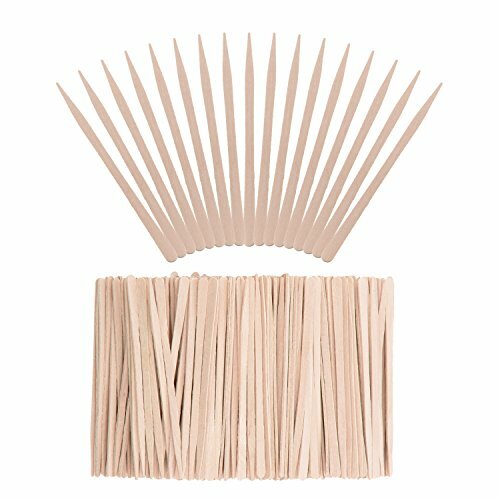 VALUE PACK: This set includes 100 salon-quality applicator sticks, offering you the best value for your money. Brand: This Way That Way & Co. | Manufacturer: This Way That Way & Co.
1 Pot of Aloe Vera Microwave Hard Wax - 7.04Oz and 8 Wooden Applicators Large 3/4"x6"
CONVENIENT MICROWAVE WAXING KIT: Our microwave wax melts in seconds, is easy to apply with the wax sticks (wooden applicators) included. This is a microwaveable stripless hot wax, so it doesn't require additional waxing accessories like warmer or strips to remove unwanted hair. GENTLE AND EFFICIENT: Our microwave wax is strong enough to remove all hair types from normal to coarse gently and efficiently when waxing. Sensitive enough to be used on all skin types while it also melts at a lower temperature reducing the risk of burns and pain on the treated area. BODY WAXING: It can be used on all areas of the body, including sensitive areas like your bikini line. Great for retouches, and waxing areas like eyebrows, nose, ear, armpit, underarm, and upper lip. MATERIAL - Made of ABS materials,natural resin, non-toxic, just please be assured use; Package including 30PCS. Dimensions - 6 x 3/4 size fits most applications. Same size used at the salons. USEFUL APPLICATOR-can be applied to remove awkward areas of hair, or eyebrow; suitable size in special shape, make it convenient to use. SMOOTH AND CLEAN made of wood, not easy to rust or erode, with smooth surface, will not hurt your skin, comfortable for you to use. SIZE OF WAX STICK-the stick is 12 cm long,tiny size fits well to your eyebrows, lips etc., can meet your various needs. WIDELY APPLICATION-suitable for removing hair of many places on your body, can be applied to apply wax to small areas, such as eyebrows, bikini areas and other small or detailed areas. 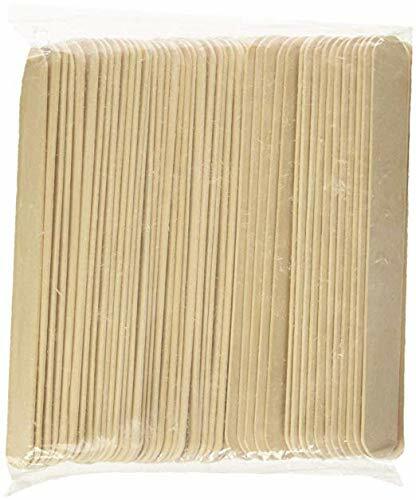 GREAT VALUE-different styles wax applicator sticks are great for detailed waxing work, precise application, and fit different purposes,100pcs wax sticks as backups are for you to use for a long time. 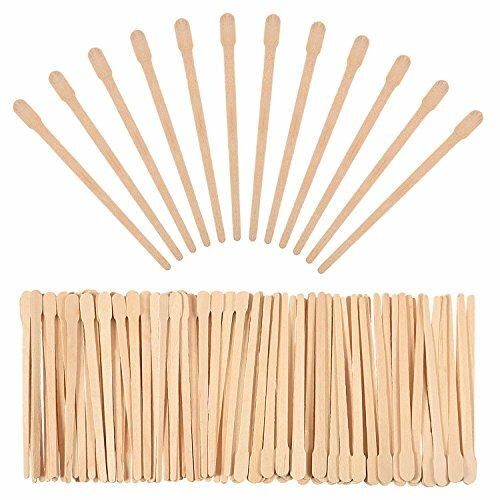 Ensure the perfect wax application every time with this 100-pack of spa quality wooden wax applicator sticks. These 5.5" long applicator sticks are ideal for waxing your face, neck, hands, feet and bikini area. The wax sticks are made from all-natural wood that has been smoothed and pressed to ensure a clean and even application. 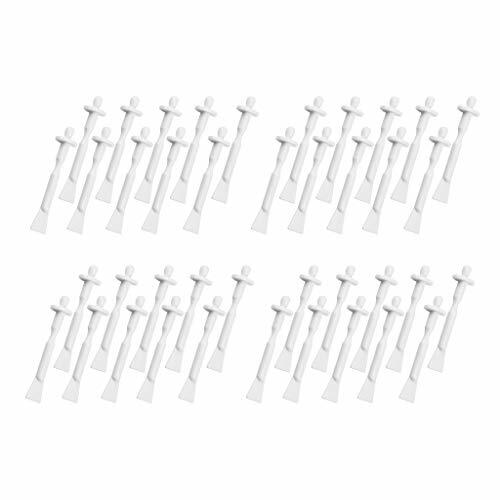 Suitable for both at home and salon use, this 100-pack of disposable wax sticks offers impressive value. 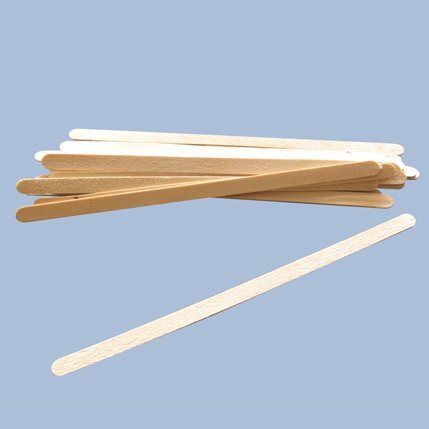 SMALL WAX STICKS: The 5.5 long wax applicator sticks are ideal for use on your face, neck, hands, feet and bikini area. The 5.5 length is perfectly sized for smaller waxing jobs and helps you to apply just the right amount of wax for greater efficiency. 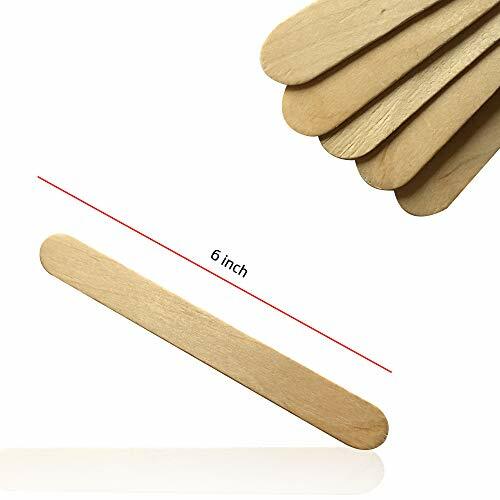 Size: Length: 88mm/ 3.5"; Width: 3mm/ 0.12", 6mm/ 0.24"
These wax applicator sticks are perfect for applying wax to a small detailed area, such as eyebrows, lip, bikini, nose waxing, face, hair removal, ear hair. The wax rod can also be applied to make arts and crafts, and other wide varieties of use. The bottom of the wooden stick looks like a spade, can be used to remove hair in awkward region, eyebrow shaping, lip shape, apply mask, etc. Convenient to use, and won't spill into other areas, daub more even. Utility helper for the beauty you want! As these sticks made of wood, please do not put them in wet condition. 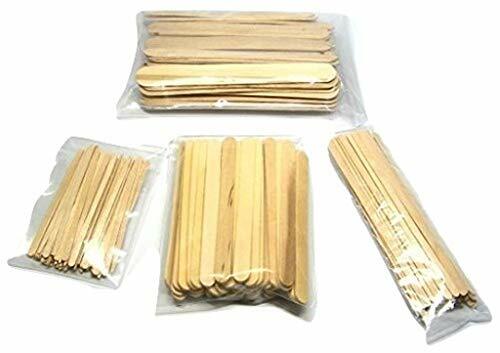 Package content: Totally 800 Pcs Waxing Sticks (each 100 Pcs sticks packed on individually clear plastic bag for sanitation ), enough for salon or daily use at home. Quality material: Made of birch wood, durable, smooth and clean, will not hurt your skin, good product for daily use. Wax applicator stick length: 88mm/ 3.5; Width: 3mm/ 0.12 and 6mm/ 0.24. Tiny size fits well to your eyebrows, lips etc., can meet your various needs. Wide application: Perfect for applying wax to a small detailed area, such as eyebrows, lip, bikini, nose waxing, face, hair removal, ear hair. Can also be applied to make other crafts and arts, etc. Spatula-shaped tip design: Can be used to remove hair in awkward region, eyebrow shaping, lip shape, apply mask, etc. Convenient to use, utility helper for the beauty you want! - Suitable for removing hair of many places on your body, can be applied to apply wax to small areas, such as eyebrows, bikini areas and other small or detailed areas. 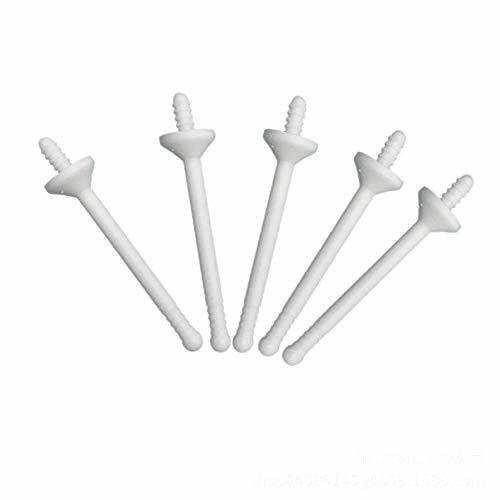 - Made of plastic, not easy to rust or erode, with smooth surface, will not hurt your skin, comfortable for you to use. - 1. Round head can be used with hair removal wax to remove nose hair and nose dirt. - 2. Flat head is suitable for small area application of the face, such as: under the eyebrows, nose, lips and lips. - 3. Wait for about 30 seconds, until the wax body becomes hard. After cooling, press down on both sides of the nose and pull out the nose hair stick in one breath. Try not to hesitate to pull it out quickly. - 4. This will remove the nose hair. * Made of plastic, not easy to rust or erode, with smooth surface, will not hurt your skin, comfortable for you to use. * Suitable for removing hair of many places on your body, can be applied to apply wax to small areas, such as eyebrows, bikini areas and other small or detailed areas. Suitable for removing hair of many places on your body, can be applied to apply wax to small areas, such as eyebrows, bikini areas and other small or detailed areas. Made of plastic, not easy to rust or erode, with smooth surface, will not hurt your skin, comfortable for you to use. MATERIAL - Made of PP food grade materials,natural resin, non-toxic, just please be assured use; Package including 50PCS. 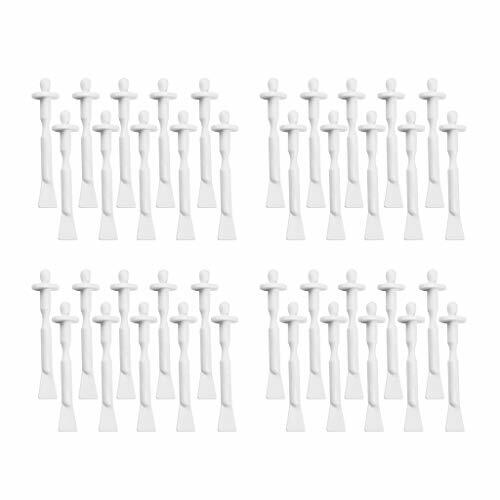 STICK SIZE - Appro 3.42 in x 0.59 in(Length x Flat Head Wide ). SAFETIP APPLICATORS - These wax applicator sticks are made of PP natural resin materials,smooth and efficient, will not hurt your skin.